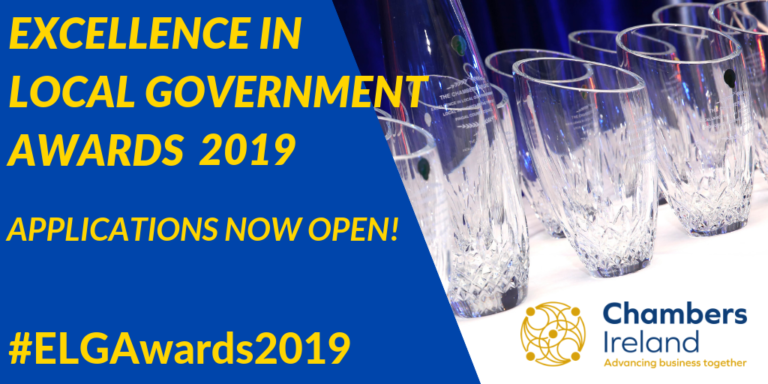 Applications for the Chambers Ireland Excellence in Local Government Awards 2019 are now open! The Excellence in Local Government Awards showcase best practice in local government and recognise the skills, hard work, innovation and enthusiasm within local government that can often go unrecognised. The Excellence in Local Government Awards are held in conjunction with the Department of Housing, Planning and Local Government.